After a back injury curtailed her plans for a career in dance, she dropped the ’w’ from her name when she turned her attention to acting. In 1991, the regal beauty made her screen debut in Flirting, an Australian film featuring another then unknown, Nicole Kidman. 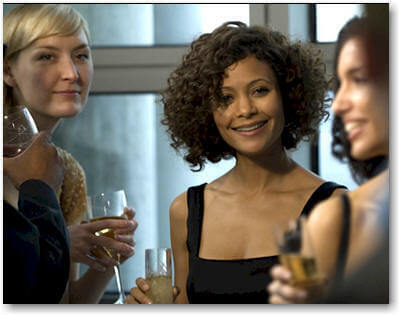 Thandie has since proven herself to be one of the most talented thespians around, delivering very memorable performances in such pictures as Crash, Beloved, Besieged, Jefferson in Paris, Mission: Impossible II and The Pursuit of Happyness. Recently, the versatile actress has even mastered comedy, first as the object of Eddie Murphy's affection in the $100 million hit Norbit, and now as a pregnant woman left at the altar by Simon Pegg's character in Run, Fatboy, Run. KW: Hi Thandie, I'm honored to have this opportunity to speak with you. TN: Really? That's so lovely. KW: Funny you should ask. Yes, Kamau, it's an African name. KW: I was given the name when I was a jazz musician back in the Seventies. We were getting ready to record an album and the leader of the group didn't want any slave names on the record cover. KW: Over the years, people sort of Anglicized it by dropping the ’au’ off. TN: How amazing! ’Kam’ is gorgeous. I love it. My name, Thandie, is an abbreviation, too, of Thandiwe. KW: I knew that. And that it means ’beloved.’ Ironically, Beloved might have been your breakout role. TN: Well, I made Norbit, but I still felt that I hadn’t really been involved in a comedy in terms of having the experience of just witnessing comedians at work. Norbit just felt a little claustrophobic. 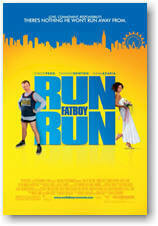 It didn't have the kind of freedom or camaraderie that I thought a comedy should have. And I was keen to work in England, as I always have been, because my children go to school there. Plus, I've been a fan of Simon Pegg's for a number of years. I love the work that he's done with Nick Frost, like Shaun of the Dead and Hot Fuzz. And I just got a sense of [director] David Schwimmer as a really well-rounded, decent guy from when he did a play with a friend of mine, Saffron Burrows. I like working with first-time directors because it's often a risk well worth taking. And I loved the material. So, it was fun! KW: One of the things I love about this film is that it's hard to pigeonhole. TN: I feel the same way. It's not a romantic comedy. It's not a straight drama. It feels much more true to life than a formulaic comedy. But I also think that Simon has great timing and a unique kind of humor, reminiscent of Peter Sellers or Jack Lemmon. He reminds me of those old school comedians whose brands of humor were much more authentically a part of their personality, not anything generic. Simon's is a combination of physical, creative and intelligent. His other gift is that he can move from a strongly comedic moment to one of complete earnestness which draws you in much more. Ordinarily, comedy is a detachment from feeling where you turn something into a joke instead of express how you really feel. That kind of protects you from being the one with an opinion, if you know what I mean. TN: But Simon can get right into earnest emotion very easily, so the comedy almost allows for the sentiments to go deeper. I think he's unique in that respect. In England, it's been a while since we've found someone who could cross over and be an international success in movies. And I just think Simon's it. KW: I think you're obviously ’it’ too. I felt that your performance in Crash was pivotal, and providing that Oscar-winning Best Picture with its most riveting and social significant moment by far. That's why I said you deserved an Oscar for it. TN: Well, there were a large number of very strong performances that year. I don't know, ever since Beloved was snubbed by the industry, and not taken seriously in that respect, I don't feel impassioned with either joy or sadness by getting or not getting accolades. It's not part of the way that I value myself. KW: I also think that many of the challenging, iconoclastic characters that you've played, in films like Beloved and Besieged and Crash, aren’t the types of roles ordinarily recognized by the Oscars. TN: The thing about all of those roles, and The Pursuit of Happyness, as well, is that they make people uncomfortable, because it goes right to the marrow of the truth. That is not a popular place to be. With Beloved, it wasn't popular to take the lid off denial. But I like to put myself in that area of discomfort, because that's what truly reveals the essence of what we really are, those areas that you'd rather ignore and get away from. They’re the ones that I just want to stare at as long as I can. So, I don't mind, even though the Oscar has become the absolute benchmark for filmmaking talent. I think we can sort of promote ourselves as individuals. If we feel privileged to witness a great performance, then that in itself is enough to feel validated. TN: It is and it isn't though, Kam, because the truth is that if you want to be a movie star, you've got to work at it. But I've found that in order to ensure longevity, it's better to avoid the highs and lows of success. It's sort of like surfing where if you stay in the middle of a wave, you're going to stick around longer. But if you get into the dizzying heights, you've got to maintain, and that's a tough thing to do. I've got two kids, so I'm quite happy to stay on in the middle, burning my light a bit brighter here and there. But I love what I do. TN: I think that's true, but I'll get the old Oscar for all of us one day. KW: I'm sure. Given that you have a parent from Africa, and one who's white, I'd love to hear what you think of Barack Obama’s candidacy. TN: I think that it's wonderful for America to have these rich choices in whom they vote for. It feels like there's evolution happening right in front of us. And I don't think it's just about America but an international vote for life to have these exciting choices available. Once a pick has been made, what's important is to commit to the changes that these people actually want to put in place. I think that how Hillary Clinton or Barack Obama or anyone else is going to benefit the country is far more complex than the color of their skin or their gender. So, in a way, it's been a distraction from what's truly necessary which is to get in there and make real changes. KW: I've read that you were born in England, and also that you were born in Africa. Which is correct? TN: Oh, God, that would be an hour-long answer to your question. It provided challenges which have made me who I am’It provided great wealth in terms of having this great-colored skin, and looking exotic, and different. However, it also made for a very lonely disposition as a child, at times. Being an outsider has its good and its bad. There's a ying and yang to all of it. Having to negotiate that kind of winding road has made me much more inquisitive about psychology, and interested in investigating myself and the parameters that people set up around themselves and others. It's a privilege, in a way, to have had to question my identity. By virtue of being unconventional, I was exploring that from a very young age. And I feel glad about that. But by the same token, if I hadn’t had the strength of character and some real pluses, like getting involved in the arts, for example, where differences can be celebrated, I could have been a very depressed, a very closeted, and a very unhappy person. But I see these challenges and negative experiences as gifts, at least I do now, anyway. [Laughs] So, I've been showered with gifts, and I'm glad of that. Life is about being uncomfortable and about how we deal with those areas of discomfort. I'm sorry I'm not answering your question, but it's such a gigantic question, and one that I can't answer briefly. TN: I love that not one journalist has questioned my son in the movie looking so light. In real life, I have one blonde child, and one dark-haired child. One of my daughters is olive-skinned, like me, and my other is very pale-skinned. Their faces are similar, but they have different coloring. 30 or 40 years ago, it would have been noted, and someone would've complained, saying, ’She couldn't have a kid that color.’ So, I do love that the casting hasn’t been questioned in England [where it opened last September] and I'm interested in seeing how it is accepted in the United States. I wonder whether black audiences will want to see the movie. KW: I certainly hope so, not only because it's very funny, but to support colorblind casting and the idea that you can have you and Simon Pegg paired in a romantic comedy without skin color having to be the theme. So, I'm asking all my readers to support it. A haunting novel that illuminates the true story of Daphne du Maurier's fascination with the Bront’s: a tale of madness, theft, romance, and literary archaeology. KW: Bookworm Troy Johnson was wondering what's the last book you read? TN: Oh my Lord! What was the last book I read? 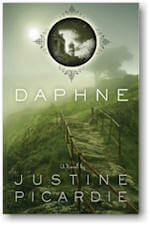 Oh, it was a book by my friend, Justine Picardie, called Daphne. It's about Daphne du Maurier and the Bronte family.